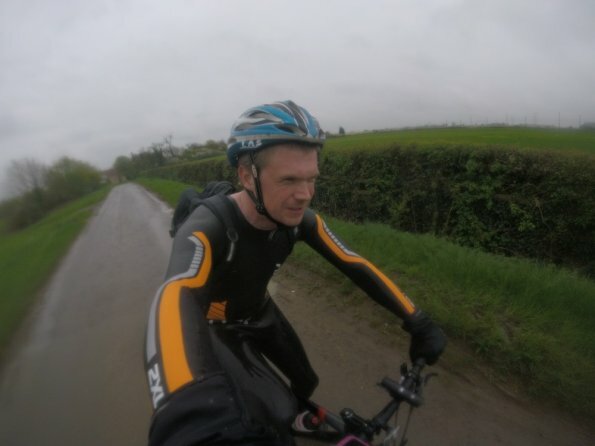 Who else has been out cycling in a wetsuit? No, but really want to! Why the hell, would I do that? Who else has been out cycling in just a wetsuit? Re: Who else has been out cycling in a wetsuit? Here are some vlogs, to show that, I really have done! Nice and wet during this wetsuit cycle!! There's a nice part in this video - a young triathlete biking in a wetsuit in public. Welcome to May!!! The first wetsuit cycle of the month and really hoping the last! Since, I the want the UK summer to start NOW! I put my Foor Classic on earlier and after wearing it to mow the lawn in the heat of the sun I was inspired by your wetsuit cycling videos to give it a go. Has anyone else tried indoor riding in a wetsuit?